6 Robust Ways of Video Marketing that You Never Thought of Before! Video marketing is a brilliant way to spice up your marketing strategy! For example, you can use a video to attract more customers or strengthen your own brand. But did you know that you can achieve even more success with a video? Video marketing offers you many advantages – applying correctly, you can implement 6 online marketing strategies with just one video! Not only do you grab your customers’ attention, but you also optimize your site’s ranking on the Google search engine, increase retention time, and more. Below we have summarized 6 proven ways of video marketing, which also guarantees you to learn how to use video marketing strategy to market your business successfully! The lifeblood of every website operator is the traffic on the website. To increase the website visitors is nothing better than the targeted use of video marketing. Once placed on your website, videos can be spread wonderfully on social networks like Facebook. On average, videos are clicked 41% more often than plain text links, which makes them ideal for attracting the attention of Internet users and encouraging them to click. In addition, video content marketing is expected to account for 80% of total Internet traffic by 2019. With the rapid growth and proliferation of your video across social networks, video marketing is rapidly taking you to new audiences. Our tip: Upload your video on the video platform YouTube. This increases the likelihood that your video will occupy a prominent position in the Google search results pages – even with strong keywords! Why is it like that? Because YouTube belongs to Google! Generating more traffic and reach with “Social Shares" is already a smart option for many. But what’s even better: With effective video marketing, you also boost the organic traffic of your website! 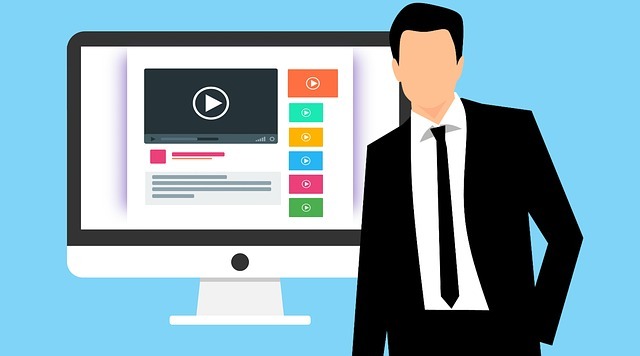 Studies show that websites with video content appear 50 times more often on the first result pages of the search engines than websites with pure text content. So save time and money on advertising and focus on video marketing. Optimize the metadata of your video! Our tip: be sure to name your video as specific as possible and add a descriptive text to the description of your video. Use relevant search terms for your topic that clearly describe what your video is about. This allows Google to understand the content of your video and rate the relevance of the topic. An SEO-optimized video has greater chances to appear in the first places of Google’s search results pages. Internet users love videos! This is proven by a study that examined the bounce rate of websites with video content. The results show that the bounce rate of a video content site is 34% lower than the rest of this site. Usually, a high bounce rate indicates that the site is leaving a bad first impression. Therefore, videos are effective at this point to grab users’ attention and increase session time on your site. On average, the time spent on a page with video content increases by a precious 2 minutes! The longer a visitor stays on your website, the more search engines like Google rate the relevance of your page. This, in turn, has a positive effect on your placement in the search engines! Our tip: For your video marketing, for example, place an effective corporate film as an eye-catcher on your website, which will tell your potential customers more about you and your areas of responsibility! In this way, you build trust with your customers and create your unique selling point (USP) in an appealing way. At the same time, the length of stay on your website increases! Would you have thought that reducing the number of newsletter unsubscriptions by 50% with one video? The nice side effect: At the same time you triple the click-through rate of your emails! Be brief: your video should not exceed the recommended length of 90 seconds. Only then can your message be presented in a simple and effective way before your customer’s attention span falls. Call-to-Action: Be sure to challenge viewers to action at the end of the video! Put Links: Your video must be accessible to all potential customers. So put a link to your video so viewers will be redirected to an optimized landing page. Subject: Video: The word “video" has a magical effect on the subject of an e-mail. 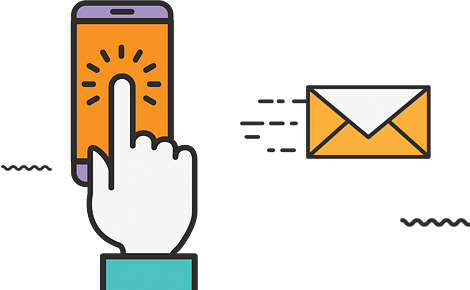 The open rates of e-mails increase by 19%, while the click-through rates increases by 65% and the number of newsletter unsubscribers are reduced by 26 %! Try combining the e-mail marketing with video marketing and let yourself get surprised! 5. Present your offer effectively with storytelling! With an effective product video, your potential customers will learn more about your offer. They get to know 90% of the benefits of the product and are curious to try the last 10% for themselves. This will ultimately convince them to buy the product. But what is the secret recipe for effective video marketing? The secret codeword is storytelling. Storytelling can be implemented particularly well in explanatory videos: an explanatory video usually begins with a problem description of a fictitious person and ends with a problem solution that could be achieved by the advertised product. Storytelling is an essential element of explanatory videos and has a great impact on your viewers. On the one hand, thanks to the combination of image, sound and story. Your message will be remembered better than pure text. On the other hand, emotional stories allow viewers to identify with the main character. This will increase the chances that the message of your video will reach your viewers. Our tip: Present your offer with your own effective product video and convince your customers! Keep in mind that storytelling is the alpha and omega of effective video marketing! What story do you have to tell? 6. Use Videos to get the pitch right! Do you know the problem? You spend a lot of time writing your business philosophy on your website, you’re tapping your fingers and thinking after the final touchdown: “That’s it!" – but anyway, your customers do not understand you? The perfect solution to your problem is Video! A video helps you to put your pitch perfectly in the limelight! Studies have shown that the probability of purchase increases by 85% if your potential customers have previously watched a video. With an explanatory video complex contents can be presented as simple, understandable and explain in a short time successfully. It helps your customers with information collection and saves the reading of textual content. This is important because today’s human attention span is 8 seconds less than a goldfish! For example, only 28% of the text on a website is completely read by visitors. In video marketing, videos attract the attention of your customers in a variety of ways and stay in their memory longer. In addition, videos are flexible in marketing, such as on your own website, in social networks or offline, at presentations or at trade shows! Conclusion: Take advantage of your own professional video NOW! As you have just read, videos can be used in a variety of marketing strategy interfaces. And no matter where – with video marketing you support your company’s success! Videos provide clarity about your product, brand or service, and communicate important messages to your customers in a simple and understandable way. In your business, you can use targeted video to tell your customers a compelling story that attracts their attention or turns your customers into loyal buyers! Onboard in the plane of Video Marketing today and see the result for yourself!